You deserve a beautiful smile Our company is based on the belief that our patient' s needs are of the most importance. Our entire team is committed to meeting those needs. As a result, a high percentage of our business is from repeat customers and referrals. 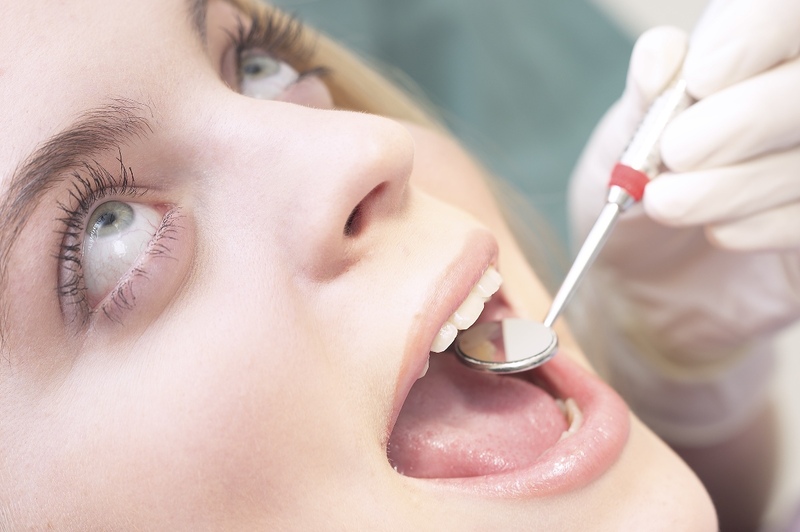 Initial dental visit should always have a comprehensive dental exam. 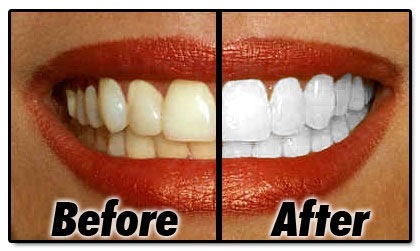 We only do at home teeth whitening as that lasts a lot longer than in surgery teeth whitening. X- rays are essential for detection of decays, tumors, cysts and boneloss. They also help to determine tooth and root positions. All the surfaces of the teeth will be checked for decays, current fillings, crowns, gums and bone around the teeth. Professional dental cleaning will include removal of the calculus( tartar). This is the hard deposit on the teeth that cause inflammation of the gums, boneloss and badbreath. After calculus is removed with special dental instruments the polishing will remove all stains and plaque leaving your teeth silky smooth. This process only works on natural teeth, so replacement of any restorations are done after whitening to match the newly bleached teeth. 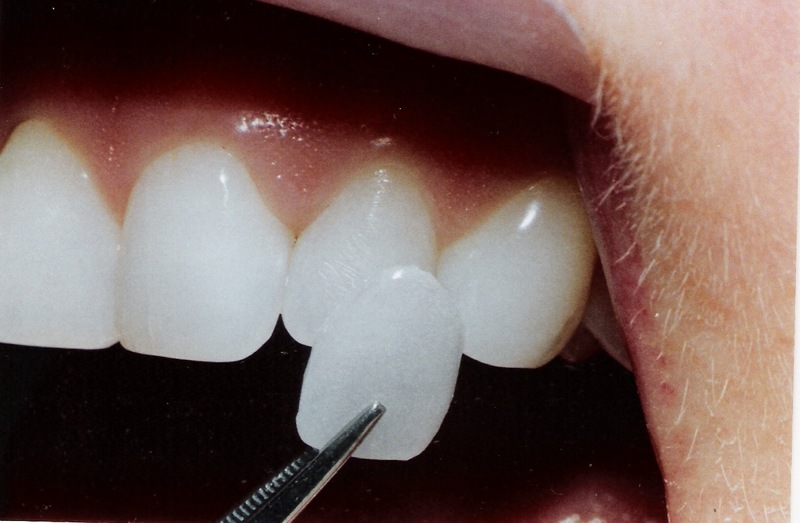 Porcelain Fixed Bridges resemble the natural teeth. 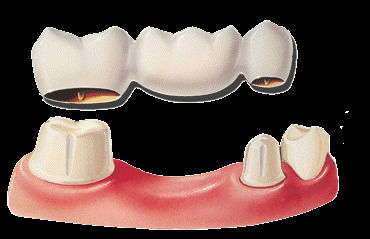 This type of bridge consists of two crowns that cover the anchoring teeth and are attached to artificial teeth filling the gap by one or more missing teeth. They are highly durable and will last many years. It is a Cosmetic dental procedure that can be used to repair chipped, cracked, or discoloured teeth. 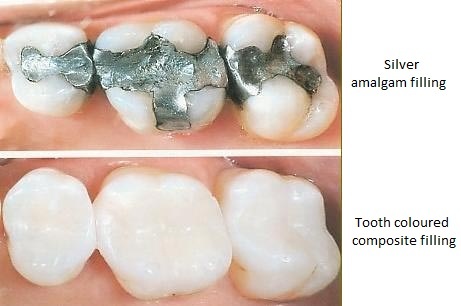 Composite can also be used to fill in gaps between teeth, to lengthen, shorten, or protect the root of a tooth. 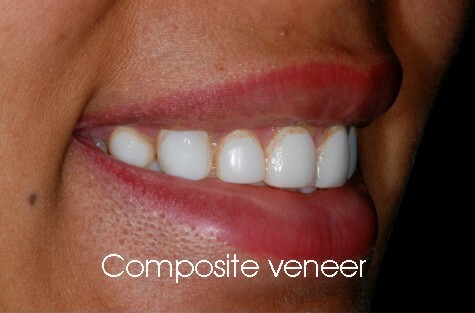 Composite veneers takes approximately 30 minutes to one hour per tooth in a single visit to the cosmetic dentist. Veneers are extremely versatile and can be used to align crowded or protruding teeth, close gaps or lighten tooth color. Their strength and appearance rivals that of natural teeth and they are used to make long lasting changes to the smile. 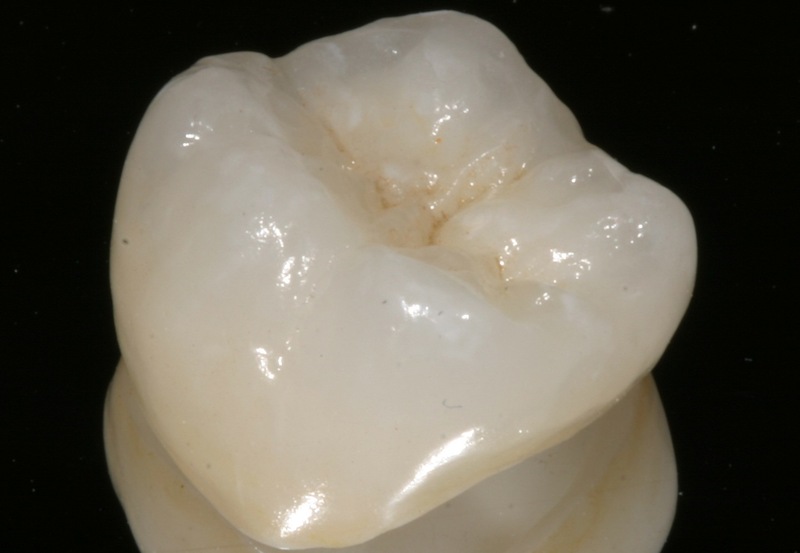 Porcelain crowns are used to restore severely broken teeth. 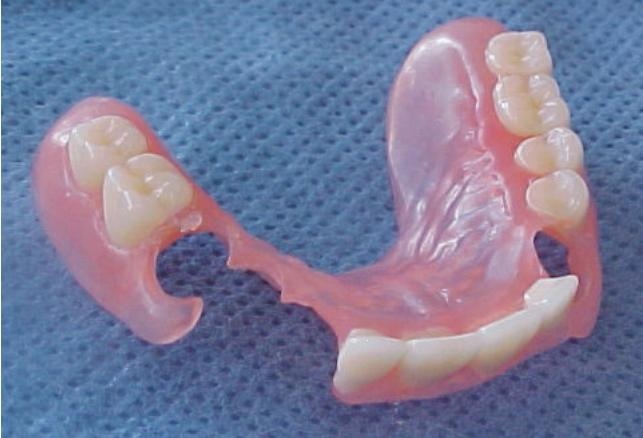 Partial dentures are removable dental appliances that replace some missing teeth. Our crowns are all made of porcelain, like veneers, and look every bit as natural, leaving no black line at the gum level as seen with some traditional crowns. Crowns are extremely versatile and can be used to align crowding or protruding teeth, close gaps or lighten tooth colour. The strength and appearance of our porcelain crowns rival that of natural teeth and they are used to make long lasting changes to the smile. 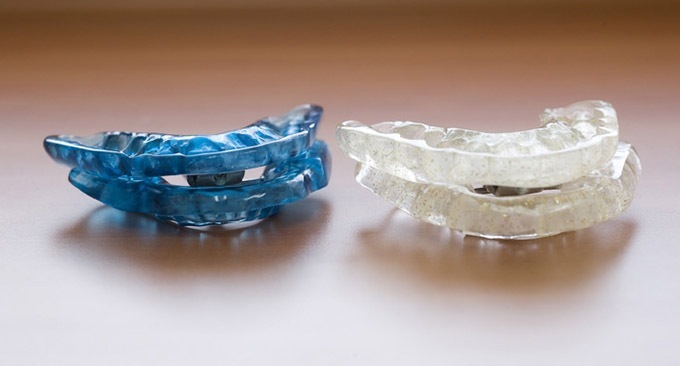 They can be rigid and have some metal clasp or can be flexible Valplast Dentures that are a lot lighter and have gum colored flexible clasps that are very confortable. When there are no teeth left on upper or lower jaw a full denture supported by dental implants is the ideal solution. 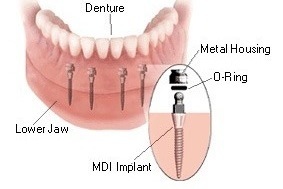 Full dentures are supported by mini dental implants. For upper denture stabilization 6 mini implants will be necessary. 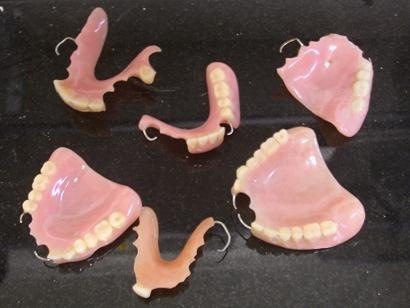 For the lower denture, 4 mini implants will be necessary. 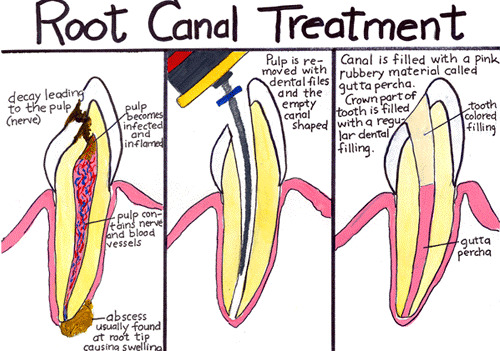 Cracked tooth syndrome may also require root canal treatment. 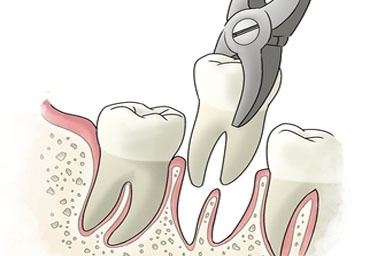 Extractions are removal of teeth if mobile or very painful and the patient does not want any other alternative. We also remove the tooth after an abscess. We can also do surgical extractions in different circumstances. For example, wisdom teeth extractions. 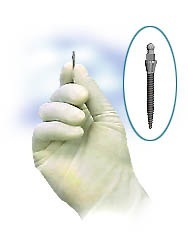 Minidental implants are small diameter titanium implants that are screwed into the bone acting like the root of the tooth. The procedure is minimally invasive, cost effective and with minimal discomfort. On the top of the screw a temporary crown is fitted in the same appointment and then later on a porcelain crown is attached. Success rate is 95% over five years. Snorguards are custom made devices to stop snoring. and any other sports that may require one. 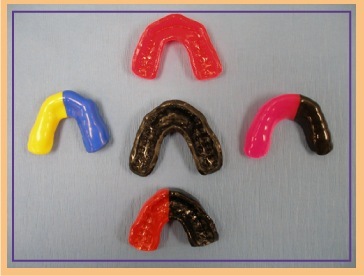 Snorguards- are custom made devices to stop snoring. They are 99% successful. 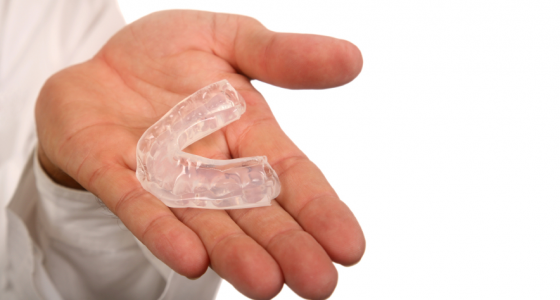 Nightguards are custom made appliances that stop grinding or clenching the teeth during the night that can be caused by stress and anxiety.